Aside from the massive anomaly that was the week 3 win in Minnesota against the Vikings, the Buffalo Bills have looked nothing short of pathetic. The week 1 thumping at the hands of the Ravens, being so bad in week 2 against the Chargers that Vontae Davis quit at halftime, and the complete no-show by the offense in week 4 have made every Bills fan wish it were April already. Honestly, it shouldn’t come as a surprise (and it doesn’t). The team was hot garbage on paper and, stunner, they’re playing like hot garbage so far. Josh Allen has shown flashes of being the franchise quarterback we all hoped the Bills had finally found back in this year’s draft and the defense has shown that they can be a viable defense for extended stretches. But the offensive line is a tire fire. The wide receivers might not actually exist. And LeSean McCoy has disappeared almost entirely. Yours truly conservatively predicted that this team could “surprise” and finish 6-10. Uh, about that. Realistically, the Bills can win 2 more games AT BEST. It’s just a hope that they can even be competitive in the rest of their games and hope that the Patriots don’t completely embarrass them. Alright, we’ve talked pretty positively so let’s ride that momentum into our week 5 conversation as the Bills take on the Tennessee Titans. What can the Bills do against this defense? No one is talking about it, but the Titans quietly have one of the better defenses in the league right now. They are just outside the top 10 in yards per game allowed, but they are 6th in points against per game at 18.2 and are a huge reason the Titans are 3-1, with wins over the Philadelphia Eagles and co-AFC-South leaders the Jacksonville Jaguars. The defense is opportunistic, having forced 5 fumbles and intercepting 3 passes through 4 games so far. They don’t jump out at you as a dominant unit, but they’ve quietly been very solid to date. Against this Bills offense, they could look flat out dominant. The biggest key will be the pass protection. If they can keep Allen upright, they might do some damage, but without much of a running game, that is likely asking a lot of this line and a rookie quarterback. Can the defense steal a game? This looks like one of those match ups that the Bills defense can drastically sway in their favor. The Titans statistically aren’t much better than the Bills offensively, currently ranking 26th in both yards per game and points. 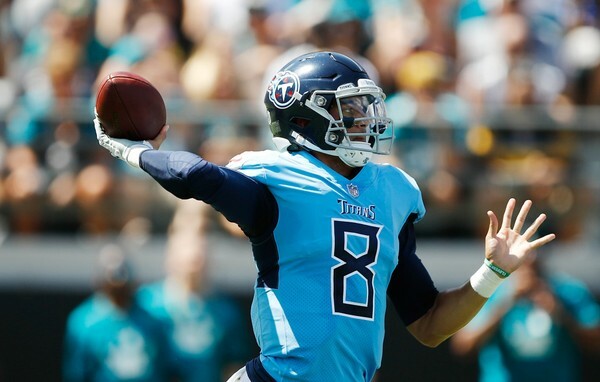 Marcus Mariota has had a middling performance so far this year when he’s been healthy, throwing for just 547 yards, a pair of touchdowns and 3 interceptions. They do, however, have a balanced rushing attack with Derrick Henry and Dion Lewis sharing the load while Mariota chips in with his legs as well. Receiver Corey Davis has seemingly emerged as the biggest weapon on the offense, amassing 22 receptions for 312 yards and a touchdown so far, with 5 catches of over 20 yards. He is clearly their big play threat. If the Bills can shut down the run game and make the Titans rely on Mariota’s arm, there’s a chance for real success. 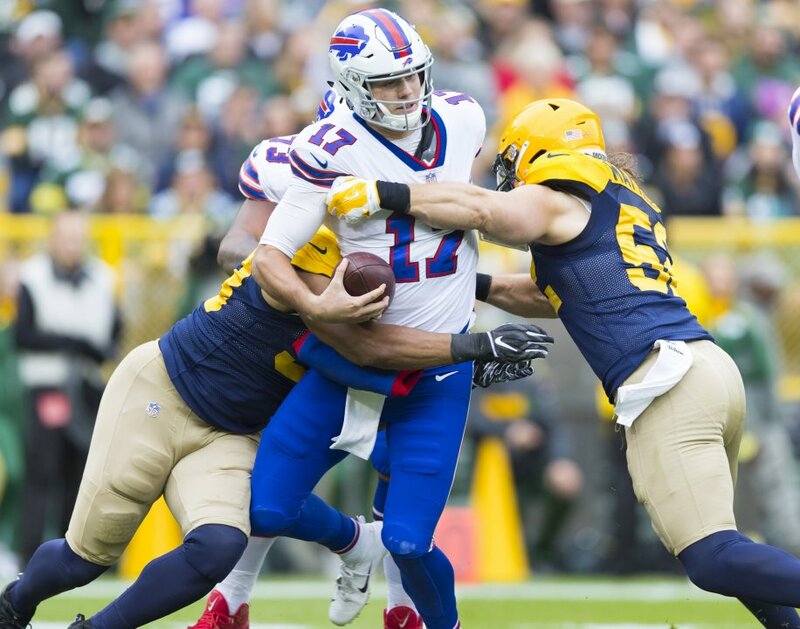 The pass rush has seemingly come alive for the Bills in the last two games and as a unit have shown the ability to swing games (the Vikings) or keep the Bills in it when they have no business doing so (Packers). The pass rush will be the wild card here, as getting to the quarterback seems to be the catalyst for success for the defense. Will the Bills be competitive? Other than the Vikings game that continues to defy all logic, the Bills haven’t even been competitive this season, being outscored 100-23 in their other 3 outings (and 97-3 if you don’t count the second half of the Chargers game, which is staggering to write even as someone who has watched this dumpster fire). To say that they haven’t been good would be a massive understatement. The Titans haven’t blown the doors off at any point this year, though they have had tougher opponents like the Eagles and Jaguars. But there is absolutely no reason to have faith in the Bills after what we’ve seen so far. They are clearly a team that will net a top-3 pick and they’ve shown that even if they take a step forward, they’ll take a couple backwards. This really feels like an odd match up on paper. The Titans aren’t great at anything, their offense clearly isn’t good, and yet they’re 3-1 with wins over two very good teams. The Bills are a mess, but they have a defense that can swing things heavily in their favor as we saw in week 3 against Minnesota. This looks like a game the Bills can be at least competitive in, but any Bills fan should be reticent to say that this team will have a chance. This won’t be the typical blow out we are used to seeing, but it just can’t add up to a Bills win because the Bills are unfathomably bad.